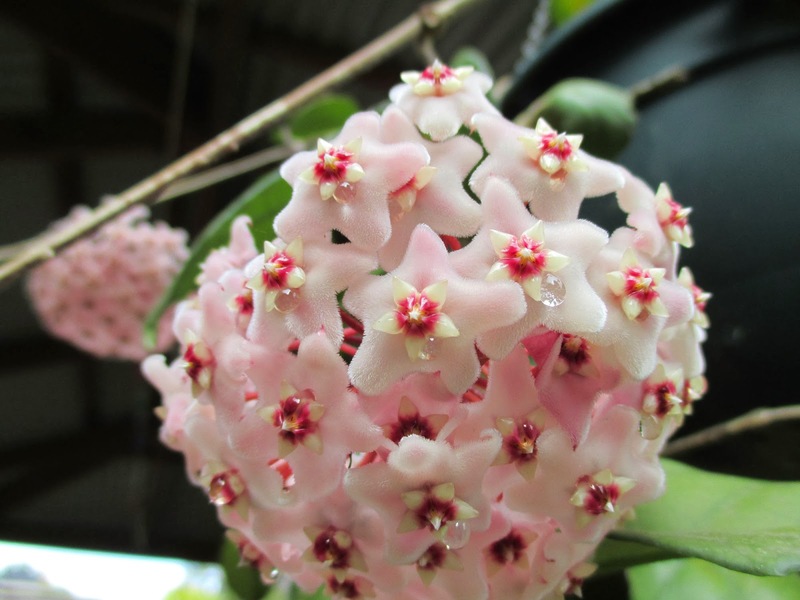 This summer has seen my Hoya plants flourish like never before. My Hoya fungii, has produced 11 seed pods over the summer. I managed to catch all but the first – of which I gathered approx 30 from around the plant. My Hoya obovata also put out a single seed pod. Using my method of enclosing the seed pod, on the plant, within a sockette. It has proven to be a wonderfully easy way of collecting the seeds. Even if the pod opens, the seeds are unable to float away and are captured inside to be gathered and planted right away. I have experimented with several methods of germinating and in several mediums. The best success has come from those I germinated in totally enclosed containers. A medium of orchid mix, perlite and potting mix have worked well, as has sphagnum moss and vermiculite. 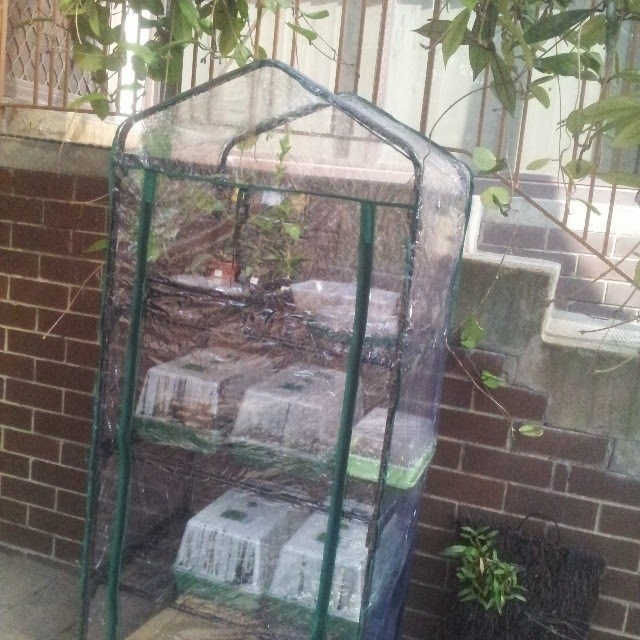 I have also moved them outside into a hothouse. I am just waiting on the seedlings to put out their second set of leaves, before repotting. … and look already an umbel! Oh wow, I am hoping to have my new plants bloom soonest! I haven't seen any pod in my first time bloomers! They are so pretty. You really have raising them down to a science it seems!